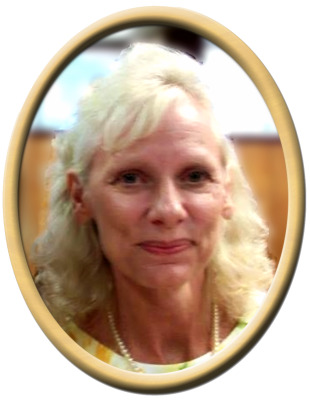 Anita Jo Kimbrough, 53, of New Hope, passed away Thursday. Anita graduated from New Hope High School in 1983. She received an Associates degree from Faulkner University. She worked for the Huntsville Museum of Art for 15 years. She was will always be remembered as a loving wife and mother who was very involved the lives of her children.The family would like to extend a special thanks to Huntsville Museum of Art, ALS Clinic, Aero Care Home Medical, and Southern Care Hospice for all of their care and support. She was preceded in death by father, Billy Joe Kirkland, mother, Linda Marie Berry. Surviving are husband, Eric G. Kimbrough, daughter, Taylor Danielle Kimbrough, daughter, Nikki Leigh Kimbrough, step father, Clyde Berry, half brother, Joseph Brian Berry, half brother, Jason Kirkland, and several nieces & nephews. Pallbearers will be Benjamin Kimbrough, Christian Wilhold, Ryan Degroff, Jason Degroff, Danny Hubbard, Roger Clemons. Visitation will be Friday 6:00 PM to 8:00 PM at New Hope Funeral Home. Services will be held at Brown Cemetery, Saturday at 2:00 pm with Elder Sam Etheredge officiating. "Email Address" would like to share the life celebration of Anita Jo Kimbrough. Click on the "link" to go to share a favorite memory or leave a condolence message for the family.